Domestic Locksmiths : These services mainly deal with duplicating keys for homes in cases where keys have been lost and the homeowners gets locked out. In this case, if the locks are complex and highly sophisticated, they can only be made by locksmiths who have specialized knowledge about the particular kind of lock. Car Locksmiths : If you’ve ever been in a fix after leaving your key in the ignition or seemed to have misplaced the car keys, then these are the services to call for. Car locksmiths for today’s cars have to deal with more complicated smart keys that cannot be easily duplicated. Only professionals who have been certified for the particular car, it’s lock or key can be of any help. Lock installations : A layman who has not been fully educated on how to install a complicated lock would only serve to destroy the lock if they attempt it in a haphazard manner. Only reliable locksmiths should be called upon in such cases for installation of locks or alarms for houses. The locksmith should have thorough knowledge and experience in installing the lock, along with the security systems associated with it. These are completely different from the locks of old where any person with little to no knowledge about drilling locks on doors could handle the task with ease. Key Duplications: Duplicating keys is done using a technique called key cutting. It is a laborious task which increases with the complication of the key and requires certain techniques to maintain the precision of the duplicated key. The keys which are made and duplicated for automobiles have a unique key code which are associated with them. Locksmiths need to employ these key codes in order to successfully duplicate the key. These can be obtained directly from the car manufacturers which are responsible for the corresponding locks. 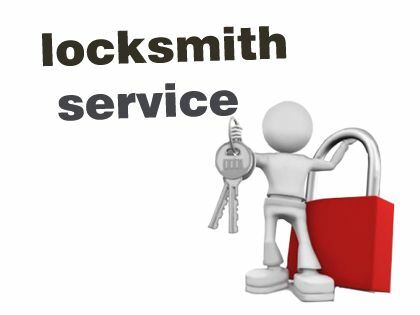 Locksmith services are a small, but very essential part of maintaining the security of homes and helping in automobile emergencies.